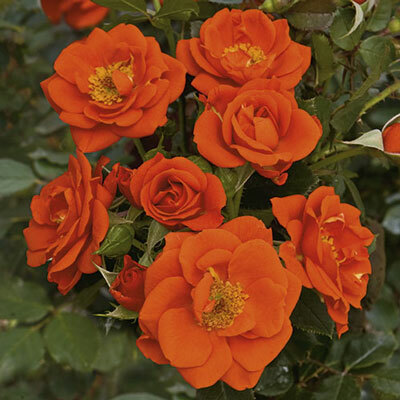 Loads of shiny bright audacious orange blooms sparkle against the abundant deep deep glossy green leaves…and that dazzling color lasts all through the life of the flower. Perfect in a patio pot or tucked into a gaudy garden border. Makes a terrific tree rose, too. Best flower size & petalage in cooler conditions.